There are more than 2,000 types of fleas around the world, with 300 of those in the U.S. alone. With numbers like that, it’s easy to see why fleas are ranked as one of the most common (not to mention annoying) pests for dogs and cats. Fleas are the most common allergy for pets, with even one bite causing major itchiness. The common fleas that dogs, cats and humans typically find sucking their blood belong to the order Siphonaptera, aptly named for its siphon-like mouth. Different species of fleas may have a particular host that they prefer, but when push comes to shove, most fleas will latch on to any animal that’s available – even you! 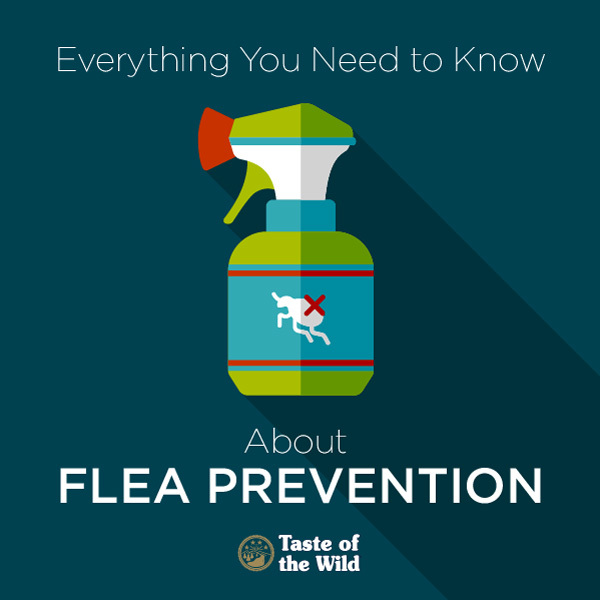 Below are tips on how to prevent fleas from using your pet (and even yourself) as a host. Fleas are more than an annoyance – they can cause serious health issues for pets. Severe flea infestations can even be fatal. Lack of proper flea prevention results first in lost time and money, as you have to make an urgent veterinary trip, buy prescription pet medications and possibly even hire an exterminator to treat your home. Additionally, fleas spread diseases both to pets and humans. Fleas have been known to spread tapeworms, cat scratch fever, cat flu and feline leukemia. Additionally, the loss of blood can cause anemia in cats and dogs. When checking your cat or dog for fleas, be sure to look quickly! For such a small critter, a flea is surprisingly fast and can be hard to spot. 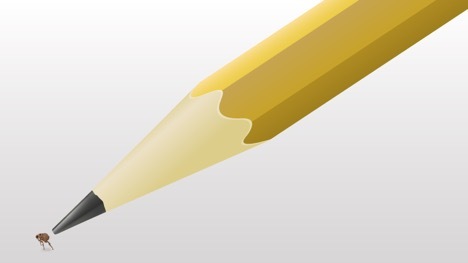 The typical flea is around 1/16 to 1/8 inch tall (1.5 to 3.2 mm) and dark brown in color. As a flea ingests more blood, it may become lighter in color. Only in severe cases of infestation will you easily spot fleas jumping and moving around your pet’s body. In typical cases, you may notice your dog or cat is more restless than normal and is licking, chewing or scratching at specific areas of their body. Take a close look at your pet’s coat and skin. If you notice any missing hair due to excessive licking, bumpy skin from scratching, or “flea dirt,” which is dark specks of digested blood, you probably have a flea problem on your hands. A flea infestation can spread in a matter of days. With such a short time frame, it can be quite difficult to catch fleas in their early stage. If you suspect that your pet is the victim of a flea attack, be sure to check the armpits and groin first. Since those areas are warm and protected, fleas love to hide there. Second, check your pet’s tummy, where hair is typically thinner and fleas are easier to spot. To treat your pet, purchase a flea comb, which is specifically made to catch any fleas that may be hopping around your pet’s coat, as well as larvae and eggs. As you brush your pet’s coat, make sure to get as close to the skin as possible so that you are able to capture the most fleas. Have some soapy water near you as you are combing their coat to dump any live fleas that you may find. How Did This Happen to My Fur Baby? They may be small and wingless, but these blood-sucking insects have some powerful legs that help them jump from host to host or from the environment to the host. Most pet owners are on high alert during warm months, but letting down your guard during cold months may be a bad idea. While fleas may be most active in summer, they can remain a threat throughout the year in many regions. Dogs and cats typically become infected through contact with other animals or contact with fleas in the environment. Even if your cat is indoor-only, they can become infested with fleas. Since a flea is incredibly small and can jump 100 times its own height, they can easily hitch a ride to your home on your clothing or jump through a crack of a door or window. If you have noticed signs of a flea infestation but are unable to find any fleas, take your pet to the veterinarian. The symptoms could be caused by another pest or health issue, and can be identified by your veterinarian. Flea control may also require the use of prescription medication or medical shampoos to knock out the infestation. If fleas have decided to become a permanent houseguest, you may need to contact an exterminator. Once an exterminator has taken care of your unwanted guests, you will be able to take the next step of implementing a prevention plan. Anyone who has dealt with fleas before knows that it can be a hassle to fully kill them if you do not follow the correct control and prevention techniques. Here are some helpful tips that you can follow to keep your fuzzballs flea-free. Keep grass trimmed around your house and yard to control the environment your pet wanders through. Invest in prevention products such as flea collars, topical solutions, sprays and shampoos. Regularly wash pet beds, crate bedding and any other favorite snooze areas. Vacuum carpets, upholstered furniture and cracks in the floor regularly. Fleas may be a pesky pest, but the good news is that, even in large numbers, fleas remain fairly easy to control. With the proper prevention and care (or knowing when to call in the professionals), you will be able to keep your pals flea-free.